Size: approx. 500 mm. Photo: 07/12/15, 6 pm. 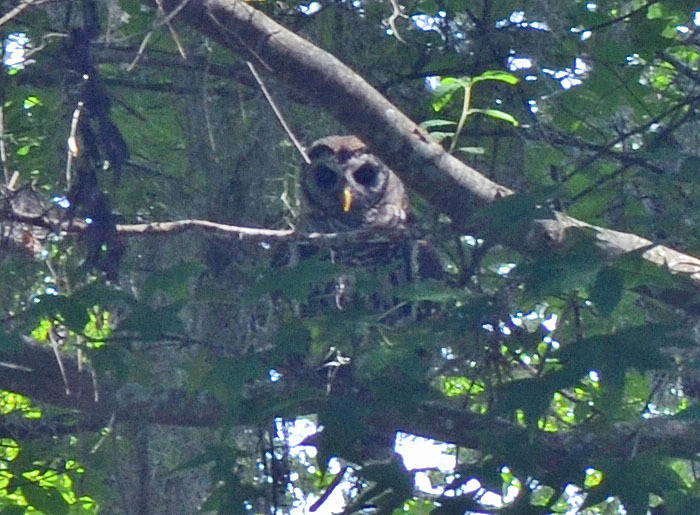 Okay, it's an awful photo but this owl simply must be featured here. It essentially lives on our property but is hard to spot and even harder to photograph. However, it is quite easy to distinguish its call which sounds like "who cooks for you, who cooks for you all."